Figuring out the strength of cannabis is not always easy. This is because there are lots of factors that could affect the THC content of a particular bud. Among the biggest factors that could influence the strength of your bud are the growing medium, location, light source, nutrient level, carbon dioxide levels, and temperature and humidity. With that in mind, it’s important that you consider all these factors when you start growing cannabis. That way, you’ll know which particular strain is highly suitable for you. When the haze genetics first came to the Netherlands, numerous hybrids were created. Later on, the seeds were combined with a male plant derived from Haze. This combination resulted in Amnesia Haze. As the name suggests, this offers a truly psychedelic high experience that will make the user shut down their brain completely after each session. This variety offers a fresh and fruity taste. These fat plants feature yellow buds that have a tinge of yellow. You’ll also notice a distinct banana aroma when you smell them. Its hybrid with Kush genetics resulted in a powerful indica strain. The plant’s fruity flavor is just the start of its impact. With a THC content of more than 25%, you’ll be taken into a very strong high with this strain. Thus, it’s not suitable for novice smokers. However, seasoned smokers will surely appreciate how this strain soothes anxiety and stimulates appetite. Originated from California’s San Francisco Bay area, the Green Gelato is a must for every cannabis lover who has a sweet tooth. Its parent plants are Thin Mint Cookies and Sunset Sherbet that are both famous for their strong high and sweet flavor. Combining both has led to an even sweeter taste. This variety has a THC content of 25% and its intoxicating combination of sharp mint flavor and fruity tones will give you an uplifting high. Colorado is among the states that were the first to legalize the use of recreational cannabis. The early cultivators of cannabis in Colorado have grown one of the most impressive hybrids, the HulkBerry. HulkBerry is famous among various dispensaries in the US and across Europe. 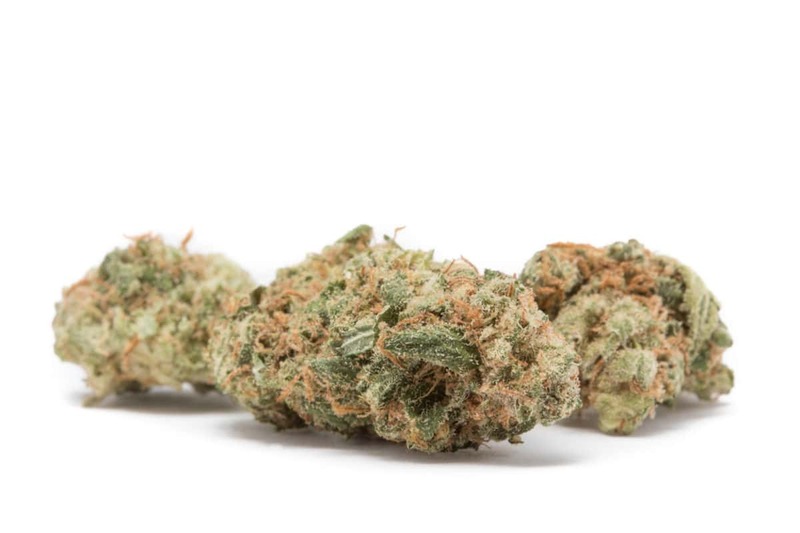 For only a short amount of time, it has already attained cult status, thanks to its extremely strong strain, having a THC content of more than 28%. The powerful combination of Strawberry Diesel and OG Kush means that its sativa and indica effects will result in a delicious and refreshing fruity taste. This knockout strain has now been made available for consumers outside the United States. The pleasant light green buds have a THC content of up to 26%. It provides an incredibly euphoric high as well as a mouthwatering taste of citrus and pine tones. The balanced high that the Royal Gorilla provides makes it an ideal choice for therapeutic or medicinal use.